Panda Antivirus Pro is security software that monitors and classifies all running applications based on big data and artificial intelligence (AI). It is compatible for Windows, Android, and Mac operating systems. In this article, we cover Panda Antivirus Pro reviews and pricing. Ready to get started? Get a free trial. As of March 2019, there are very few positive Panda Antivirus Pro user reviews online. Users said that it is very beginner-friendly with moderate system impact. They also liked that its interface is customizable and that the annual plans are affordable as compared to its competitors. 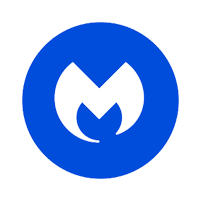 If you are a past or current Panda Antivirus Pro customer, leave a review to help other business owners who are deciding whether or not to use the software. Panda Antivirus Pro pricing offers two subscription options with several tiers each: Home Users or Panda Dome ($2.99-$5.99/month) and Business Plans (custom priced). The main difference between the plans is the protection scope as well as access to premium features including parental controls, app lock, call blocker, password manager, device location, and technical support. 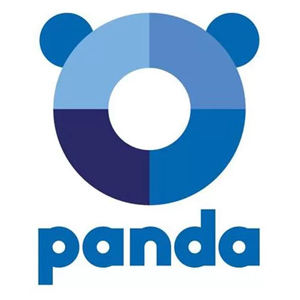 Panda Antivirus Pro’s business plans include Panda Endpoint Protection, Panda Systems Management, Panda Fusion, Panda Email Protection, Panda Patch Management, and Aether Platform. Interested users may contact the company’s sales team to obtain customized pricing information. Ready to get started with Panda Antivirus Pro? Get a free trial. How do I install and download Panda? After you have purchased Panda Antivirus Pro online, Panda Security will send you the welcome email with the activation code of your product together with the instructions. Locate the email in your inbox and click the Download button. If you cannot locate the welcome email, you may contact the company’s customer service team. How is Panda subscription renewed? To continue using your Panda services, you must renew the subscription of your security solution, whether it is an annual or monthly subscription. This way, your antivirus will continue to update and protect you from the new viruses that appear every day. To renew, go to your Panda account and choose that option. Have you read these Panda Antivirus Pro reviews and are still not sure if it’s the right fit for you? Read our reviews of all top internet security software providers or check out one of these three Panda Antivirus Pro competitors. The aspect that I like mainly of this software is that you can visualize all its functions from a single place which makes its use much more comfortable, in addition to running in the background it does not interrupt any activity on the computers and the one that works in real time it is really advantageous since in this way it provides alerts in an immediate way before any vulnerability found. What I do not like is that many of them scan to the whole system is very slow it can take several minutes or hours according to the amount of data. I would like to have better attention from your support team since some doubts I had to solve them for my part. It has a fairly complete platform, its interface is simple and quite useful. It protect and prevent any threat to all my devices, either on my computer or mobile. It allows me to build a high quality security system to avoid any virus that may affect my files. The configuration must be well detailed so that the software can only cover what I need, however, with a suitable customization and configuration, it is possible to obtain the faculties that I expects Panda Security. I have more security of the just and necessary configuration that suits my needs.